With over 100 years combined joinery experience and a wealth of knowledge, Yeo Valley Joinery can provide the answers – seamless integration of your new custom-made furniture and architectural joinery. Yeo Valley Joinery realise that service means different things to different people – their strength is in being able to offer the things important to you. Whether it begins with quick written quotations or the speedy provision of accurate drawings, you will find that Yeo Valley Joinery’s experience enables them to give what is paramount to you in the way of service at any stage of the business process. 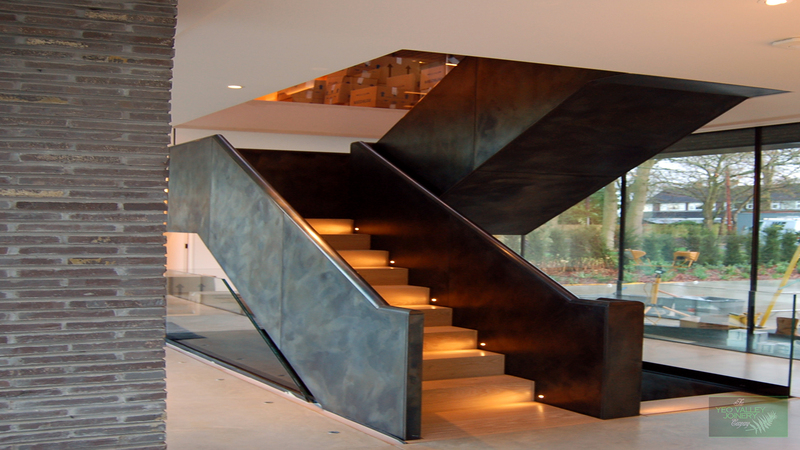 Yeo Valley Joinery are in the unique position of having many years experience in designing and manufacturing geometrical staircases using traditional geometrical methods. They also have the latest state of the art laser measuring equipment, 3D CAD drawing software and our in-house 4-axis CNC that combine to enable us to produce stunning traditional or contemporary designs. As a bespoke manufacturer and not just supplier Yeo Valley Joinery have unrivalled technical product knowledge and know how. They will take the time to identify your specific needs and present a solution that suits you. Yeo Valley Joinery’s consultative approach at an early stage can often save you money because it means you get exactly what you need and not a system that does more than you need.